Cannabis is forbidden to players in most professional and collegiate sports leagues despite an increasing number of jurisdictions across North America legalizing the plant for recreational use. 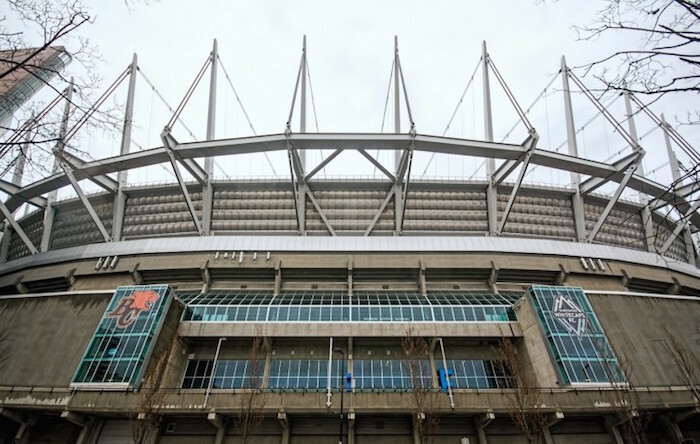 While most leagues have yet to change policies to enable players to use cannabis, the Canadian Football League (CFL) is the exception, and it is the most accepting of cannabis of the sports leagues that have Vancouver teams. The league added that it expects all players and staff to obey laws, act responsibly and not come to work impaired. “We have faith our employees will display that sort of common sense,” the league said. Other leagues’ policies vary in tolerance for pot consumption. Dentons employment lawyer Taylor Buckley told BIV that “recreational cannabis is not protected by human rights legislation,” so the leagues have a free hand to enter into collective bargaining agreements (CBAs) with players that have no-cannabis provisions. The National Hockey League (NHL), for example, has a CBA with the National Hockey League Players’ Association (NHLPA) that stipulates that players who test positive for “drugs of abuse,” such as the intoxicating ingredient in cannabis, tetrahydrocannabinol (THC), will not be publicly named but will be “referred” to a drug treatment program. Attending that program, however, is voluntary, unless the test reveals “dangerously high levels” of THC, said NHLPA spokesman Jonathan Weatherdon. He stressed that the league’s tests are intended to spot performance-enhancing drugs, not cannabis. The CBA says league officials conduct team-wide, no-notice testing on each NHL team once during training camp and once during the regular season. They also select individual players randomly for no-notice testing once during the regular season. Players must give team officials an email and phone number to use during the off-season. If a player is unreachable for two weeks without a good reason during the off-season, the player is referred to a committee to determine next steps, which could include discipline, according to the CBA. Major League Soccer forbids players from reporting for work “under the influence” of alcohol or illegal substances. It also forbids “performance-enhancing substances,” and other drugs banned by the World Anti-Doping Agency (WADA). Vancouver Whitecaps spokesman Tom Plasteras told BIV that the league tests players two to three times per year and that there has never been a case in which a Whitecaps player has been found to have a banned substance in his system. WADA explicitly bans cannabis but notes that cannabidiol (CBD), a pain-relieving component derived from it, is an exception. The result is that Whitecaps players could consume high-CBD cannabis and stay in compliance with league policies. The players of Vancouver’s fourth professional sports team, the Vancouver Canadians, are officially employed by the parent Toronto Blue Jays and are therefore subject to Major League Baseball (MLB) rules. MLB does not regularly test players for what it calls drugs of abuse, but tests may be conducted if the league or players’ union has reasonable cause. Positive tests can result in fines and suspensions. In December, MLB announced that five minor-league baseball players received 50-game suspensions for violating the rules of a drug-prevention and treatment program. Dunn said that Canadians players have been suspended in the past but that the team was never told the exact cause. Athletes need to be just as wary at the collegiate level. The University of British Columbia’s senior athletics director, Gilles Lépine, told BIV that the university follows Canadian Centre for Ethics in Sport regulations, which stipulate that cannabis is a banned substance. “Cannabis could be used to cover another drug,” Lépine explained. He said some athletes have been punished after THC was detected in their bloodstreams. Penalties can include suspensions from sports for up to two years, although the student would be able to continue to take classes. Simon Fraser University’s senior director of athletics and recreation, Theresa Hanson, said the situation was similar at her university, which follows the National Collegiate Athletic Association’s (NCAA) rules. The NCAA is stricter about performance-enhancing drugs than it is about street drugs, but students could be suspended for half a year for having cannabis active ingredients in their systems, she said. Pro sports leagues may be slow to accept players using cannabis but the National Hockey League Alumni Association (NHLAA) is showing that it is willing to consider that the plant could be helpful for players who have had concussions or injuries. The NHLAA in March hatched a partnership with the world’s largest publicly traded cannabis company, Canopy Growth Corp. (TSX:WEED; NYSE:CGC), and commissioned a team of neuroscientists to conduct research to determine whether former players could benefit from using cannabis, or more specifically CBD. NHLAA president Glenn Healy stressed to BIV that the study would not include tests on the therapeutic value of THC, the intoxicating substance in cannabis. The 100 or so players who will take part in the testing have been promised confidentiality. It will include some brain scanning early on and then some vestibulo-ocular reflex and neurofascial testing.